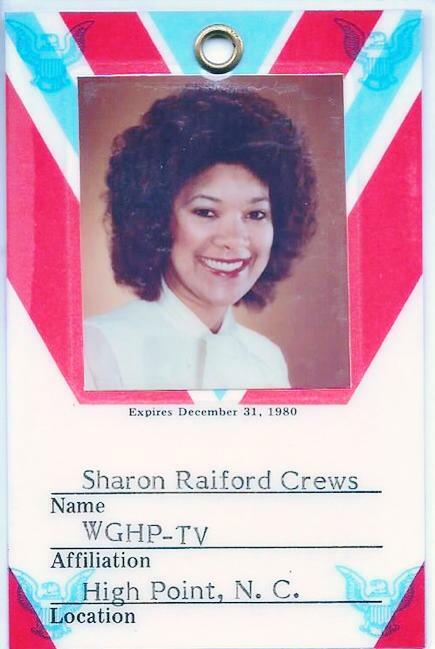 This is Sharon Raiford Bush’s (nee, Crews) first White House-issued media credential, which allowed her to work directly with President Jimmy Carter. Bush was a television journalist and weather anchor at the time, employed by WGHP-TV in High Point, NC, an ABC affiliate. Bush got her start in broadcast news on September 29, 1975, when WGPR-TV in Detroit, MI, became the first black-owned-and-operated television station in the nation. In effect, Bush became the nation’s first black female weather anchor of prime-time news.